These soft spots can do the hard time. 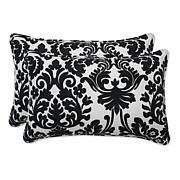 Gentle enough for the indoors and durable enough for the outdoors, this decorative pillow pair makes a charming and functional extension to your patio or sunroom. Accessorize with a simple yet classic image that anchors your room with nautical cheer. This beautiful pillow was hand-hooked to create a lasting impression that works for every room of your home. It's a delightful way to bring a coastal spirit into your home. 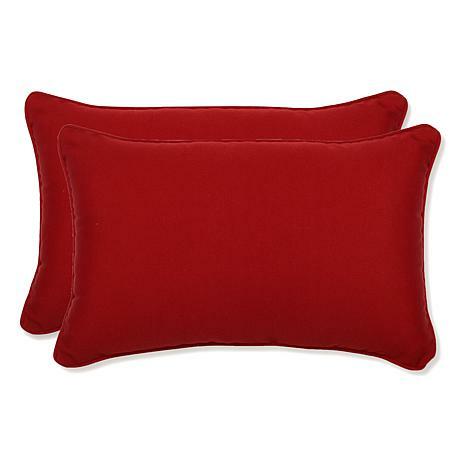 JOY Luxury 2-piece Embroidered Comfort & Joy Throw Pillows Hollowcore technology combines with Lyocell derived from eucalyptus to create decorative pillows that not only look good but feel fantastic all year round. Toss these on your bed, sofa or anywhere else you need a touch of comfort and Joy.